Everything you think you know about mental illness is wrong. TED Talk | What Really Causes Addiction? and How Can We Overcome It? What If Everything You Know About Depression Was Wrong? “Every human being has basic psychological needs,” says journalist Johann Hari. “And there is growing evidence that our culture isn’t meeting those psychological needs for many—perhaps most—people.” In his New York Times bestselling books and the talks drawn from them, Hari’s authentic, personal perspective is changing how we treat and what we believe about mental illness and addiction, consistently bringing audiences to their feet. Drawing on international research and diverse studies, Johann Hari’s latest book Lost Connections proposes a simple but radical premise: as depression and anxiety rates rise around the world, maybe we need to look at the causes of mental illness beyond our own brains. His previous book, Chasing the Scream, similarly penetrated our beliefs surrounding addiction. As he persuasively shows audiences, the cure is in solving systemic problems of isolation and poverty—and working towards making people feel they belong, are valued, skilled, and with a secure future. Hari’s is a campaign of human connection. Hari is the author of The New York Times bestselling book Chasing the Scream, the product of his four-year, 12-country, 30,000-mile journey into the war on drugs. Called “breathtaking” by The Guardian, “gripping” by The Financial Times, and “riveting” by the San Francisco Chronicle, Chasing the Scream: The First and Last Days of the War on Drugs explores three startling truths: drugs are not what we think they are, and neither is addiction. Hari’s viral TED Talk—viewed online more than 15 million times—is a funny, fascinating, and moving look at the ways in which we turn to addiction as a response to conditions of isolation and disengagement in our lives. Hari has written for many of the world’s leading newspapers and magazines, including The New York Times, Le Monde, The Guardian, the Los Angeles Times, The New Republic, The Nation, Slate, El Mundo, and The Sydney Morning Herald. He was a lead op-ed columnist for The Independent, one of Britain’s leading newspapers, for nine years, and was named ‘National Newspaper Journalist of the Year’ by Amnesty International twice. He was named ‘Environmental Commentator of the Year’ at the Editorial Intelligence awards, and ‘Gay Journalist of the Year’ at the Stonewall awards. He has also won the Martha Gellhorn Prize for political writing. There was a mystery haunting award-winning investigative journalist Johann Hari. He was thirty-nine years old, and almost every year he had been alive, depression and anxiety had increased in Britain and across the Western world. Why? In this eye-opening talk, Hari shares the incredible forty-thousand-mile journey he took across the world to interview the leading experts about what causes depression and anxiety, and what solves them. As he writes about in the book that came from this journey, Lost Connections, he learned that there is scientific evidence for nine different causes of depression and anxiety―and that this knowledge leads to a very different set of solutions: ones that offer real hope. An empathetic investigation of a worldwide issue, this talk will leave your audience hopeful, fascinated, and full of knowledge that can help all of us—whatever our experience with depression and anxiety—to make our lives more connected and psychologically healthy. 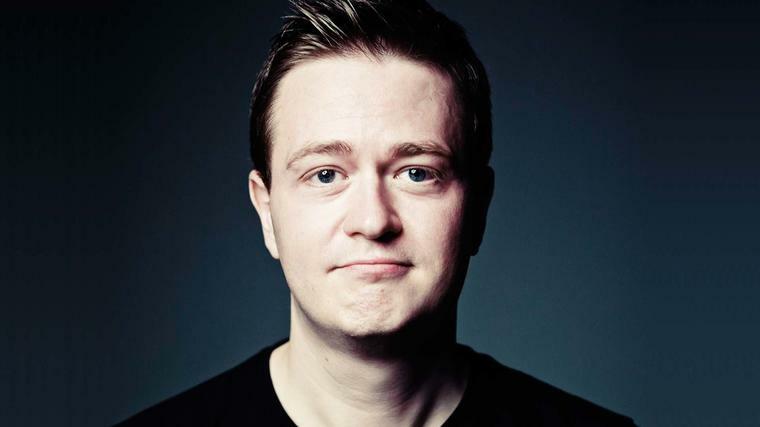 For Johann Hari, drugs have always been personal. One of his earliest memories is of being unable to wake a relative. Since then, he’s watched loved ones struggle with addiction, all the while believing in the basic story about drugs and dependency echoed by our teachers and governments. That is, until he set out to find his own answers. Embarking upon a 30,000-mile, 12-country journey to really understand the war on drugs, Hari uncovered a much different narrative—that everything we’ve been told about addiction for the past 100 years is wrong. In this talk, Hari discusses the landmark studies that demonstrate the connections between addiction and environment. He investigates the countries that have witnessed incredible success by accepting these findings: plummeting rates of drug use, addiction, violent crime, overdoses, and more. And he issues a call to treat the addicts in our lives much differently, changing both our politics and our hearts. Combining the best social science with vividly human anecdotes, this is a transformative talk about what it means to be addicted, and what it means to recover. Ninety percent of cannabis users are unharmed by the drug. So why is it still illegal in so many parts of the world? In this talk, Johann Hari unpacks the complicated issue of cannabis legalization, bringing to bear in-depth, on-the-ground research from 17 countries. He explains what a successful regulated trade looks like, and which arguments are most effective in bringing about lasting legislative change. He explores how, in uncertain political times, regulation might be rolled back — and how to assess the risk of new investments. And he also asks important questions every state, province, district, and voter needs to confront. How can supporting a legal trade help end the global war over drugs: an avoidable conflict that has claimed the lives of hundreds of thousands? How do illegal cannabis dealers operate? What are some fascinating potential uses for this oft-misrepresented substance, and how might more moderate strains gain popularity once the drug is made legal? And, finally, why are some people addicted — and what can we do about it? Employing striking evidence, cutting-edge science, and surprising facts, this keynote is a must for any group seeking more insight into how, and why, we can change the conversation around marijuana. While writing the bestselling book Chasing the Scream, Johann Hari discovered that the drug war has very different motives and results than those described by our businesses and governments. Not only has strictly enforced prohibition claimed countless victims to incarceration, poverty, and murder around the world, but it’s actually led to more addicted users—the opposite of its touted purpose. In this keynote, Hari traces the development of a global moral injustice, highlighting the previously untold story of how Billie Holiday was stalked and killed by the founder of the war—and what this tells us about what’s motivated it ever since. He relates the stirring testimonies of people whose lives have been transformed by ill-conceived policies, and the doctors and activists resolutely trying to change them. And he talks, with inspiring examples, on the alternative policies that show a clear way forward. From the killing fields of northern Mexico, home of some of the world’s most dangerous cartels, to the teeming US prison system, to nations like Portugal that choose to pursue innovative solutions, this keynote condenses Hari’s years of deep reporting into a riveting talk on the war on drugs: its human and economic tolls, and its compassionate, economically sound solutions. The Lavin Weekly: The Opposite of Addiction, The Retail Revolution, Fighting the Media Apocalypse, and A Big Congrats!